The Supreme Court today agreed to hear urgently a plea regarding alleged bribes being taken in the name of judges. 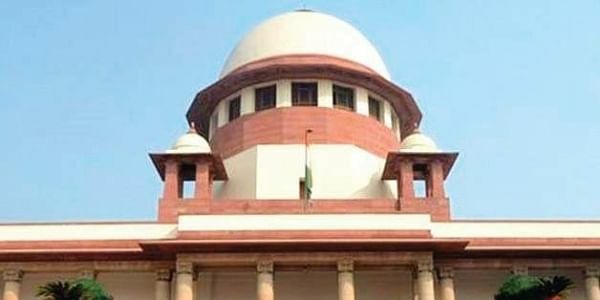 NEW DELHI: The Supreme Court today agreed to hear urgently a plea regarding alleged bribes being taken in the name of judges. A bench of Justices J Chelameswar and S Abdul Nazeer agreed to list the matter before itself on the request of former Supreme Court Bar Association(SCBA) President and senior advocate Dushyanth Dave. Dave, while mentioning the matter for urgent listing, said, "This petition should be listed before a bench of Justice Chelameswar as it involves protection of the integrity of the institution". He said there are serious apprehensions and therefore this matter should be taken up at 12.45 PM today. "This matter relates to an FIR lodged by CBI into the alleged bribe taken in the name of judges. Things are very disturbing and nobody can be a judge in his own case," Dave said. He said that there is nothing personal and the court should help him protect the institution. To this, the bench said there are civil liberties and fundamental rights but it is also the responsibility of the society to protect its rights. The bench listed the matter for hearing at 12.45 PM.